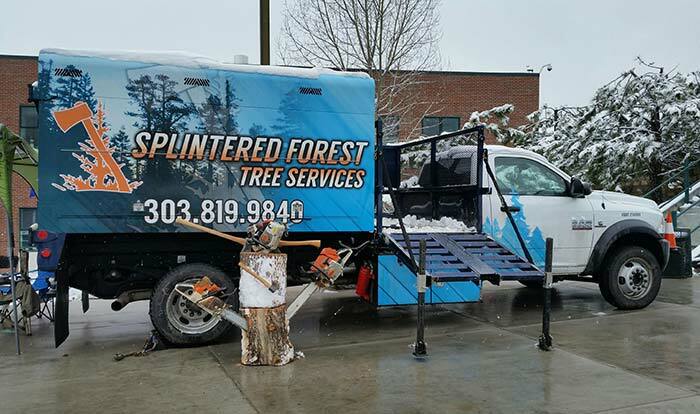 Splintered Forest was founded in 2004 by Brad Huddleston, a longtime Conifer resident and local entrepreneur who learned about fire mitigation firsthand after he lost his home in the Hi Meadow Forest Fire in 2000. The destruction of the fire left the property covered with burnt trees/slash and no affordable help to clear the debris. Brad set out with a chainsaw and began the arduous task of removing the trees himself so the rebuilding process could begin. Soon after, he began assisting neighbors with their tree removal needs and the business was formed. Splintered Forest has since grown to include a team that utilizes each of their unique skill sets and an array of industry tools to assure that every project is completed accurately and efficiently.